Dr.V.Rangaraj is the Founder Chairman of USIIC. Dr. V.Rangaraj (Raj) completeted Ph.D. from University of Mumbai in 2004 on the topic “A Study of Business Pressure Groups in India-FICCI,CII and ASSOCHAM”. Starting his career with Citi Bank, Dr. Raj moved to the U.S. Foreign Commercial Service office in Mumbai. 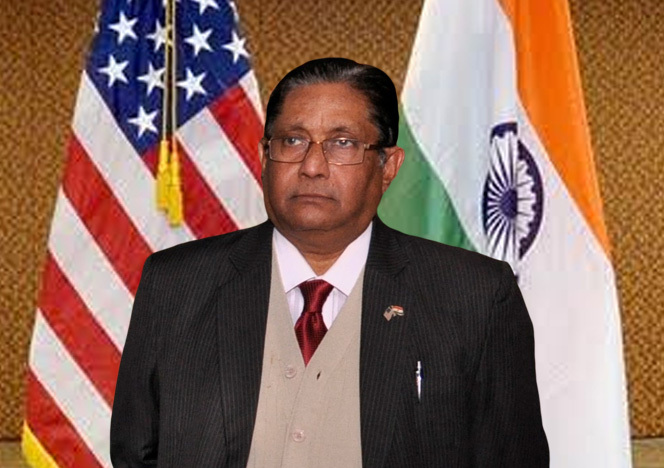 During his 18 years of service he conceived and developed visits to India of several U.S. Business Delegations, Trade Missions and handled joint ventures. All this resulted in the expansion of Indo-US Bilateral trade and economic relations covering several industrial sectors. He then joined Indo American Chamber of Commerce (IACC) as its Executive Director in the H.Q. in Mumbai. Later Rangaraj joined the ESSAR Group in Mumbai as Senior Vice President, Corporate Relations in the Chairman’s Secretariat. Dr. Raj is currently Advisor-New Projects and External Relations, with the ADITYA BIRLA GROUP (ABG), India’s largest Industrial conglomerate. ABG is one of the largest investors in the U.S.
Dr. Rangaraj is also a Past Chairman of some of the major institutions such as Indo American Society, American Alumni Association and Indo American Chamber of Commerce. The Aditya Birla Group (ABG) is India’s largest Industrial Conglomerate with diversified business interest. Headquartered in Mumbai it has operations in 28 countries. It employees 1,40,000 people worldwide with 28 nationalities . It’s annual sales turnover exceeds US $ 40 billion. ABG is interested in Aluminium, Mining, Coal, Cement, Textiles, Viscose Staple Fiber, Financial Services, Education Services, Speciality Chemicals, Carbon Black and wide range of other Industries. ABG is one of the largest investors in the US having 7 production facilities in the US in various states which are involved in production and recycling of Aluminium Metal. It has invested close to US $ 7 billion in the US.